Turkey Day may be fun for us to gather with family, but it’s one of those days when veterinary emergency clinics are most busy. Thanksgiving pet safety is important. Dumpster diving and counter surfing is dangerous sport for dogs – as turkey, and also chicken bones can be a choking hazard. Mostly these bones can easily splinter causing a real and urgent, potentially life-threatening emergency. Aunt Sally and Uncle Buddy are notorious for feeding the pets from the table. Aside from potentially including bones, they may simple be feeding far too much. For even a 50-lb dog, a few slices of turkey is akin to us eating three or four times as much, and for a 15 lb. dog a few slices is like us eating a half a bird, and the same goes for cats. 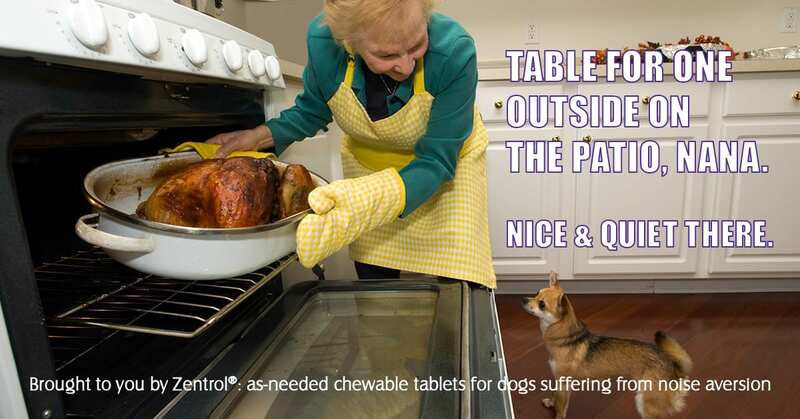 Another common medical problem reported at Thanksgiving is pancreatitis. This is an inflammation of the pancreas caused by eating fat or skin off meat, and/or simply eating far too much. Pancreatitis can make dogs and cats ill, and potentially even be fatal. 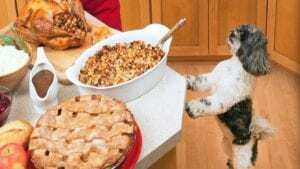 In reality, for most pets, a single SMALL slice of turkey, is not likely to cause harm. However, another issue is that without you being aware, the entire family may be surreptitiously funneling turkey to the pet under the dining room table. Beyond the main course, it’s not sugar that’s as much of an issue as brownies or cookies made with an artificial sweeter called Xylitol used in many sugar-free baking mixes. Even small amounts of xylitol can cause hypoglycemia (low blood sugar), seizures, liver failure or even death in dogs. Of course, chocolate (particularly dark chocolate) is toxic as well. The best advice is to keep pets away from deserts. Another Thanksgiving pet safety tip: If you are a lousy cook consider moving your pet bird away from the kitchen. Birds can suffer what is commonly called Teflon toxicity. Non-stick heating surfaces heated at too high a temperature may result in caustic fumes – which may or may not smell to our noses, but can cause serious respiratory distress in pet birds, which can result in death. 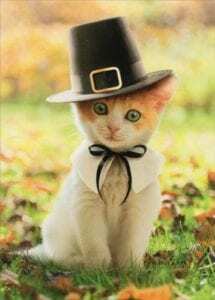 Some dogs and cats look forward to all those relatives making their annual appearance on Thanksgiving, but others wish that had received an email to warn them about what’s about to happen. 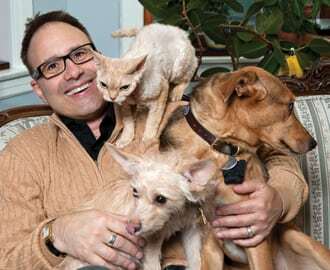 We typically know when our pets would rather not meet a throng on people. For those animals, it’s best to let them enjoy their own party, alone, behind a closed door in a second bedroom, den or basement. A least a day in advance, plug in pheromone diffusers in the room the pets are most often in, especially that room that you’ll soon choose as the sanctuary room. Adaptil diminishes anxiety in dogs and Feliway Classic is the pheromone product for cats. 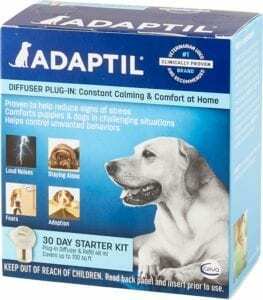 Adaptil is a copy of the calming pheromone found in the milk of nursing mothers to soothe puppies. Using analogues of these pheromones is an easy and natural way to take the edge off, helping pets to cope and to maintain comfort in their own environment. Turn on your favorite talk radio station as background, or pump up relaxing music in the sanctuary room. These days, there’s even soothing music that’s specially produced for pets. The leader in the industry is ICalm which includes various packages and tunes designed to calm dogs or cats. Victoria Stilwell offers calming music on her site, and A Sound Beginning is another example of calming music created for dogs. Distraction is a smart strategy. Stuff treats or kibble or moist food into a Kong toy or any of the myriad of food dispensing toys now on the market. If your dog or cat (yes cats too) are working on figuring out how to get the yummies, they won’t be simultaneously anxious about those rowdy relatives. (Warning: This method isn’t a good idea when multiple pets are aggressive in a confined space about sharing food and/or toys). When a family member known to the pet is available, distract with a favorite game – that’s often an effective and fun diversion, such as playing with a dog with squeaky toy or using an interactive toy (fishing pole-type toy with feathers) to engage a cat. 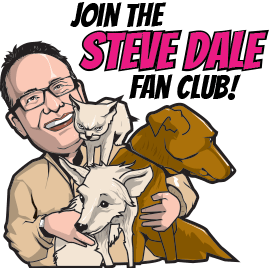 If you’re unable to distract your pet, and that background music won’t do the trick there’s absolutely nothing wrong with the idea of going a step further; in fact, it may be the most humane solution for canine and/or feline nervous nellies. Nutraceuticals are a great place to begin, and can be purchased online or through your veterinarian. 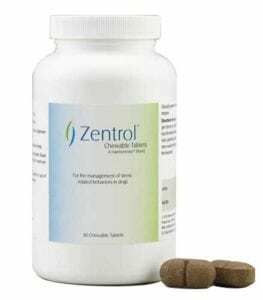 Zentrol is fairly new product that’s creating positive buzz. It’s a proprietary blend of plant extracts. Studies have demonstrating this chewable can lower fear, anxiety and stress. Studies have also demonstrated that dogs exhibit fewer “negative behavior” resulting from fear, anxiety and stress. Some caretakers suggest their dog is “acting out,” when, in fact, the dog is merely anxious. Zylkene demonstrates grandma was right about a glass of warm milk being relaxing. Zylkene contains bovine-sourced hydrolyzed milk protein, an ingredient that has calming properties. 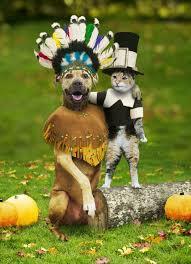 For your pets, have a happy a safe and Fear Free Thanksgiving. There’s no need for our pets to feel uncomfortable if we can do something about it, and Thanksgiving pet safety is possible.